I’m slowly easing back into blogging and rather than await for the next best thing, I guess I should take a more practical approach and just document what I’ve been eating. This means I guess revisits to places, like this yakitori bar I visited in 2010. The funny thing is even though these places are considered off the radar, being opened for so long, I realised not everyone has been. Hence one night, we decided to make a visit here for some smoky charcoal grilled sticks. I’ve been eating at yakitori bars these past few weeks and throughout the years, I did not realise, lots of places have sprouted around the Klang Valley. It’s slowly growing albeit not as fast as ramen shops. 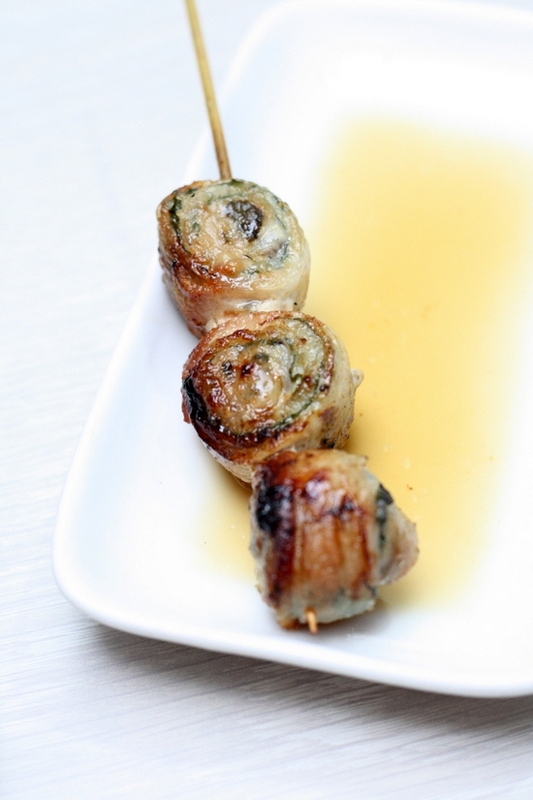 The latest one to join the grill club is Kushiyaki Kuni at Plaza Damas that is run by a former Rakuzen chef. Since there was four of us, we ordered a fair bit of sticks that kept coming until we realised, we had over ordered in a fit of hunger. 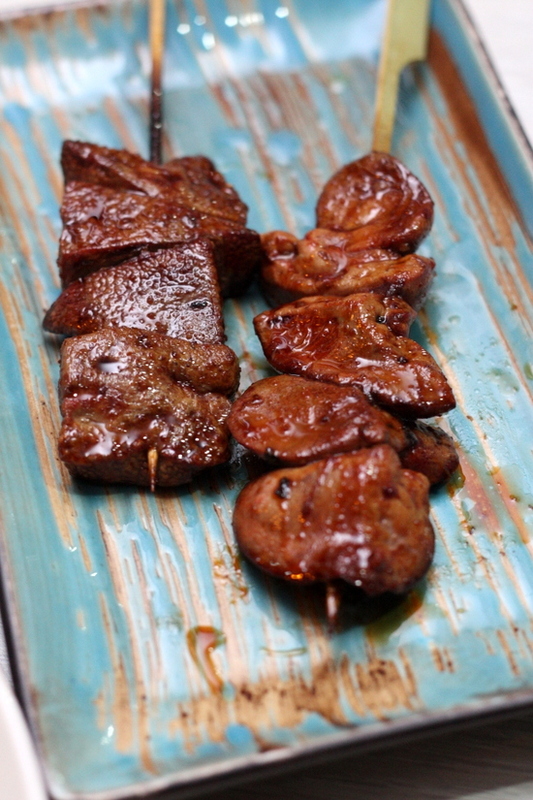 Top on our can order again list was definitely the perfectly cooked chicken liver, the poor man’s foie gras. Strangely enough, the pork liver was a tad too overcooked hence we prefered the chook’s liver instead. The beef ribs (RM9) came highly recommended. 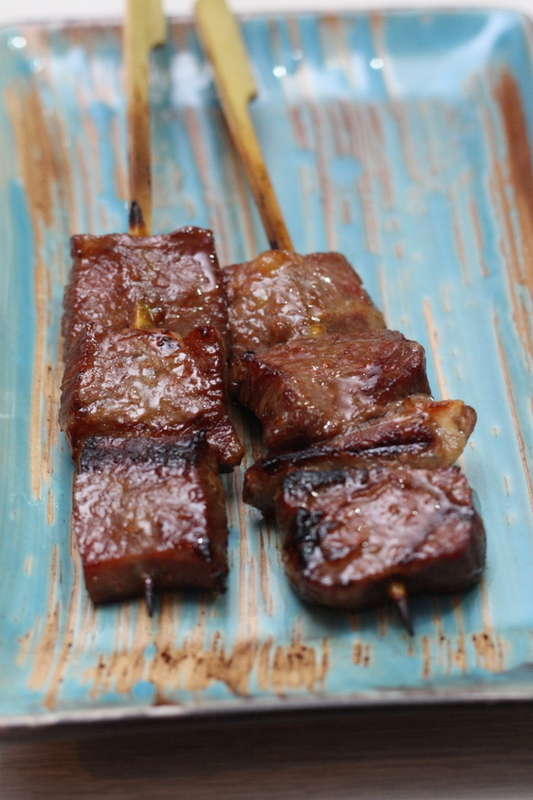 Even though they were juicy, there was a slight chewy taste to the beef. Instead, we focused on the chook, in its glory – crispy chicken skin, juicy chicken thighs and the crispy chicken wings. While the wings were juicy and rather nice, I still prefer Ri-Yakitori’s super crispy chicken wings, always sold out before you know it. Supplementing all that meat, was the carbohydrates in the form of rice balls. 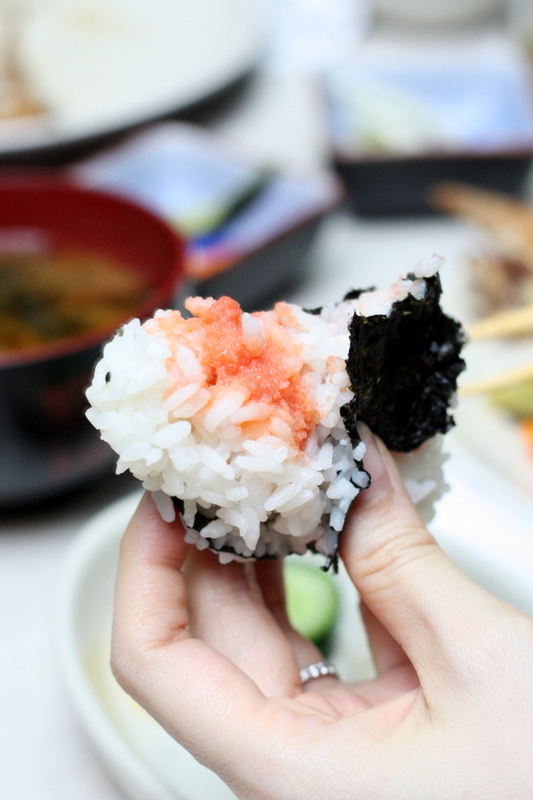 We ordered the mentai stuffed rice ball or onigiri (RM6) that was yummy since it came slightly warm, with a slightly spicy cod roe filling. 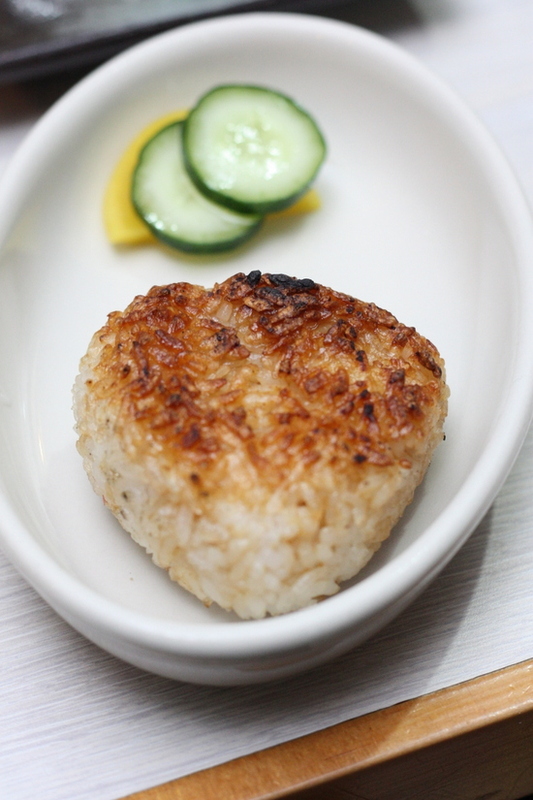 another favourite was the yaki onigiri (RM5), the grilled rice ball with its crusty grains. 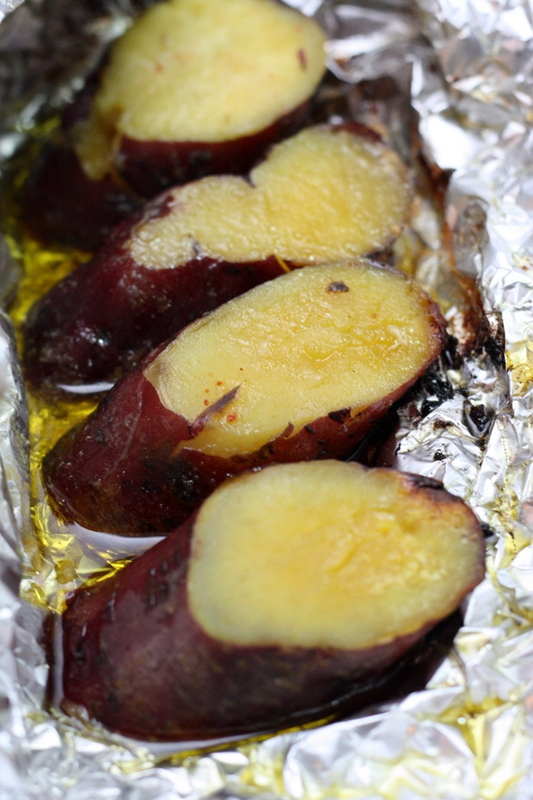 There was also mashed potato and baked sweet potatoes (RM8) with butter to fill our tummies. Other good eats was the grilled pork with aromatic oba leaves, large juicy scallops (RM15 per stick) and the shiitake mushrooms (RM4 per stick) . If you prefer, order from the specials and you will strike lucky, like we did with crunchy intestines in vinegar. The place is perpetually packed with people, so book ahead to avoid being turned away. You are also given “free-flow” cabbage doused in soy sauce and vegetable pickles. KY eats – Ah Lye Curry Fish Head, Subang Jaya OMAYA 春川炒鸡 @ SS15 Subang Jaya Crayon Burger, SS15 Subang Jaya Rendezvous Corner, SS15 Subang Jaya Top 4 New Korean Restaurants To Visit In SS15 Subang Jaya. KY eats – Uncle Seng Noodle at Subang Jaya SS15 Abirami Banana Leaf Rice @ SS15, Subang Jaya KY eats – Punjabi Cuisine at Big Singh Chapati, SS15 Subang Jaya Shinmapo Korean BBQ Restaurant @ SS15 Subang Jaya – 2 Hours Waiting Time! Chicken Up @ Subang Jaya KL – Up Or Down?